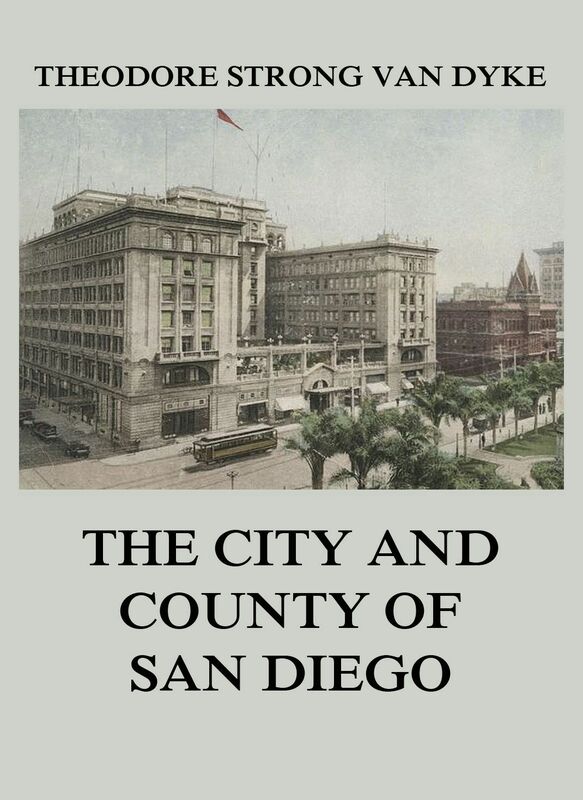 In this narrative the author recounts the history of San Diego city and county from the early days on. He gives short overviews of the Bay region, the Lower Coast division, the Northern and the Mountain divisions, as well as other interesting facts like the development of water supply, production and farming. The City And County Of San Diego. San Diego is a major city in California, United States. It is in San Diego County, on the coast of the Pacific Ocean in Southern California, approximately 120 miles (190 km) south of Los Angeles and immediately adjacent to the border with Mexico. With an estimated population of 1,394,928 as of July 1, 2015, San Diego is the eighth-largest city in the United States and second-largest in California. It is part of the San Diego–Tijuana conurbation, the second-largest transborder agglomeration between the US and a bordering country after Detroit–Windsor, with a population of 4,922,723 people. San Diego has been called „the birthplace of California“. It is known for its mild year-round climate, natural deep-water harbor, extensive beaches, long association with the United States Navy, and recent emergence as a healthcare and biotechnology development center. Historically home to the Kumeyaay people, San Diego was the first site visited by Europeans on what is now the West Coast of the United States. Upon landing in San Diego Bay in 1542, Juan Rodríguez Cabrillo claimed the area for Spain, forming the basis for the settlement of Alta California 200 years later. The Presidio and Mission San Diego de Alcalá, founded in 1769, formed the first European settlement in what is now California. In 1821, San Diego became part of the newly independent Mexico, which reformed as the First Mexican Republic two years later. In 1850, California became part of the United States following the Mexican–American War and the admission of California to the union. Dieser Beitrag wurde unter American History (English), California veröffentlicht. Setze ein Lesezeichen auf den Permalink.